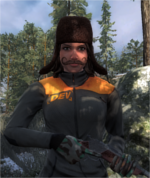 A forum post for theHunter Support Notices. We will reply to any support requests on our return to work. Please note that theHunter Support will be closed for Ascension Day after the weekend. Support tickets will be replied to on our return on Tuesday 02 May 17. Please note that up until July 24th our support reply times will be longer due to summer vacation season. We'll do our best to resolve all the queries by the end of the month. Thank you for your understanding! Merry Christmas from theHunter Support Team. Please note that we will be away for Christmas, and will resume on Wednesday 27 December. Therefore, response to tickets received through support.thehunter.com and through our email address may take longer than usual until the new year. In our absence, please ask the community on the game forums, and on Call of the Wild Steam community. May you have wonderful time with your loved ones! Happy Holidays from all of us in the Support team. Please note that we will be observing Easter holiday and will resume our services on Tuesday 3 April 2018. Therefore, response to tickets received through support.thehunter.com and through email may take longer than usual. It's that Magical time of the year. A great opportunity to spend some time with the family and loved ones. Or if you are like me, it's a great opportunity to catch up with some reading and much-needed rest. However, there will be some heroes out there working through the holiday season to make sure everything goes smoothly. They will be happy with minimal days off only during Christmas. Hence, our support will be unavailable from the 24th of December and will resume on the 27th. Please note that response time to tickets received through support.thehunter.com and through our email address may take longer than usual starting tomorrow. We will be back on full working capacity starting the 7th of January. In our absence, please ask the community on the game forums, and on Call of the Wild Steam community. theHunter Support wishes everyone happy holidays.